Alongside The Big Sleep and Wuthering Heights, I was introduced to The Great Gatsby in high school. I wrote an essay about the themes of illusion and reality in both Gatsby and a novel called The Last Resort, which I thoroughly detested. Part of that may have been the incredibly disparity in my instant affection for the former and tedious acceptance of the latter. Since the first few pages, The Great Gatsby has captivated me like no other novel. It’s followed me through life, giving me a connection and new meaning at almost every turn. 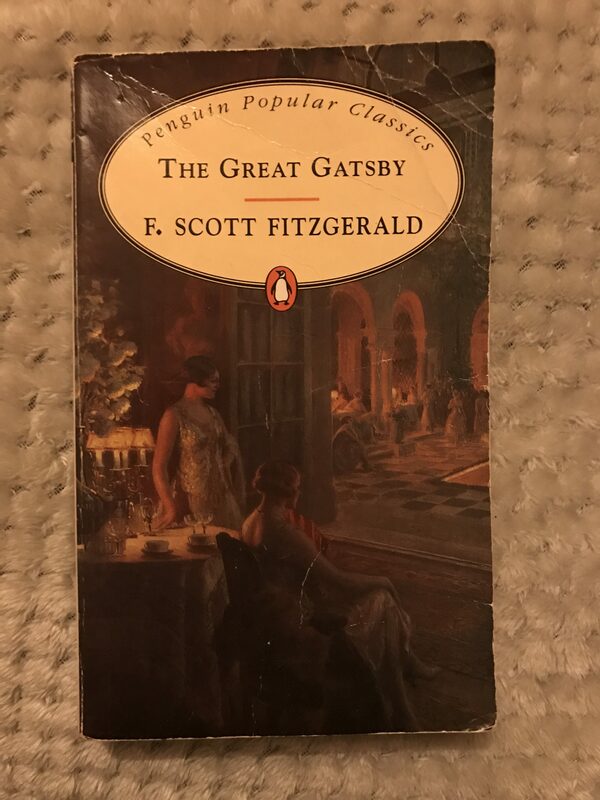 Reading it again, I’m back where I began, imagining myself as Gatsby, perhaps through some urge to be the protagonist of my own life, rather than a side character. Published in 1925, The Great Gatsby was not an instant success, only gaining its status after the author’s death. Following the larger-than-life Jay Gatsby, narrator Nick Carraway describes one summer in 1922 where his and Gatsby’s lives intertwine with tragic consequences. It almost seems foolish to attempt to review The Great Gatsby, as so much has been written about in the past 90 years. For me, the most enduring reason to praise the novel is the quality of Fitzgerald’s writing. In just over 50,000 words, he creates a great American mythology. Even in just a few hundred pages, no character is underwritten, no image is under-drawn and manage passages take on such lyrical beauty that they might have stretched for ages under the pen of a less-skilled craftsman. A mysterious and often suspicious character, Gatsby’s story is revealed over the course of the novel through his conversations with Nick and long-lost love for Nick’s cousin Daisy Buchanan. We learn how Gatsby created his own personality, built a life and became rich, all to find a way back to his dream of meeting Daisy again. On the way to trying to recapture the past, he either becomes corrupted or takes on enough rumour that he might as well be. Nevertheless, The Great Gatsby has always given me hope. No matter its message, I have always read it to mean that our dreams are what make us great, not average. It reminds me to dream big, to dream romantic and most of all, just to dream. The Great Gatsby is one of TIME’s Best 100 Novels, one of The Guardian’s Best 100 Novels and one of Le Monde’s 100 Books of the Century. F. Scott Fitzgerald is widely known for writing The Great Gatsby, often called the best American novel. He is also renowned for his other novels and short stories, chronicling the 1920s.